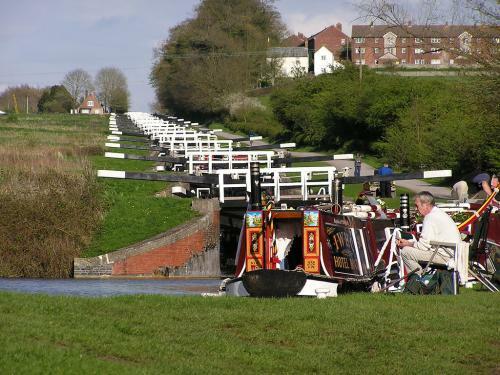 A flight of 29 locks at Devizes on the Kennet & Avon Canal, opened in 1810. 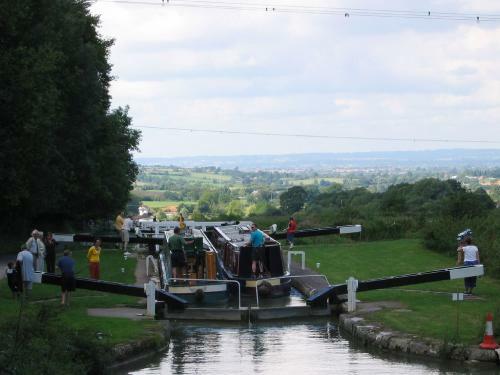 The restored Kennet & Avon Canal runs 86½ miles from High Bridge Reading, where it joins the River Thames, to Hanham Lock, where it joins the Bristol Avon. It was promoted by Acts of 1794, 1796, 1798, 1801, 1805, 1809 and 1813. 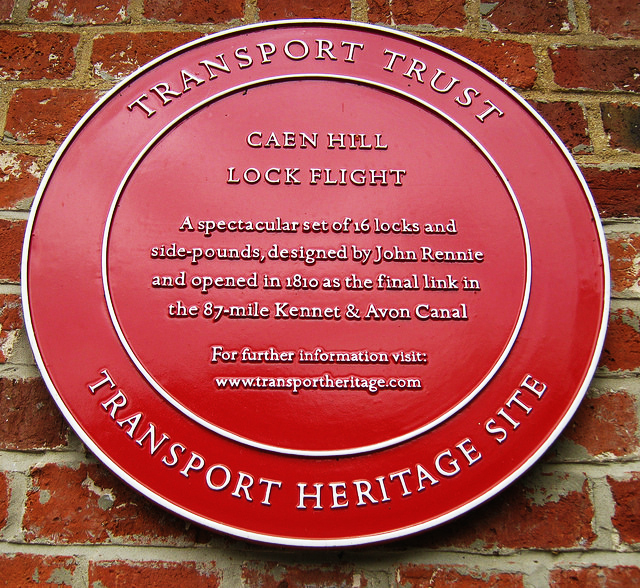 It was fully completed when the Caen Hill Locks were finished on 28 December 1810. It was bought by the Great Western Railway in 1852, and already in May 1950 a stoppage at Burghfield, near Reading, had made the canal impassable. This was the last year that the whole canal was navigable before its restoration in 1990. 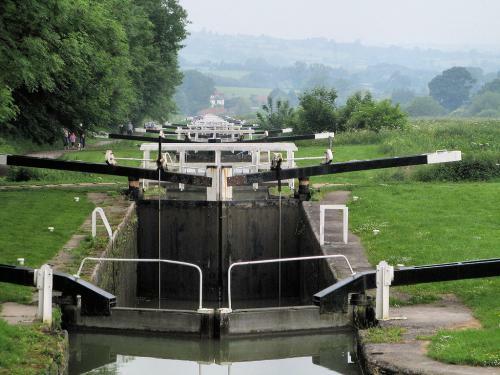 In 1952 Caen Hill Locks at Devizes were impassable. 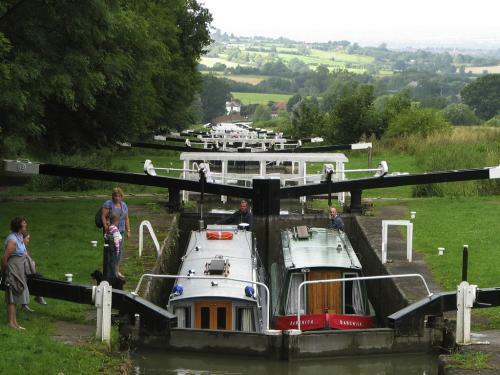 The 29 locks at Caen Hill, Devizes, provided the final link in the route of the canal from Reading to Bath. John Rennie, the engineer of the canal, decided to take it up the side of this hill, which is so steep that the locks have to be close together, so close in fact that the normal arrangement of pounds between locks would not have provided sufficient water storage for the operation of the locks. 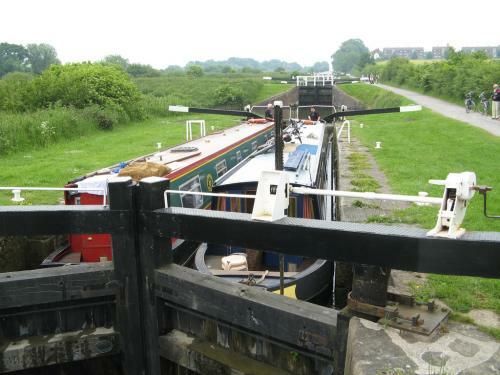 Rennie's solution to this problem was to provide long side pounds beside the locks, which can be seen between locks 29 and 44. The locks became derelict shortly after the second world war and, after years of dedicated restoration work along the whole of the canal, were reopened by HM The Queen on 8th August 1990. By road: On A361, Caen Hill, on the northern side of Devizes. Boughey, Joseph. 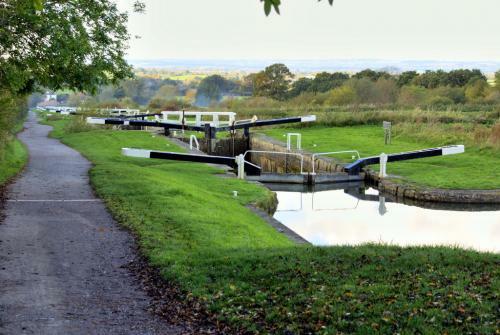 Hadfield's British Canals: the Inland Waterways of Britain and Ireland. Pearson, Michael. Kennet & Avon Canal, Middle Thames, Pearson's Canal Companion. 2003.